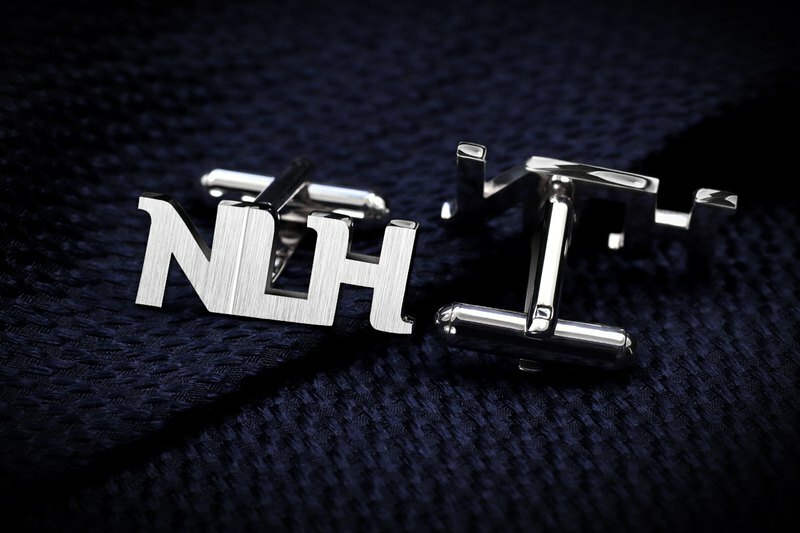 Initials Cufflinks - Wedding Cufflinks with your initials letters. Keepsake bride to groom gift, monogram cufflinks handcrafted in 925 sterling silver. ✈ UPS EXPRESS to Asia --- 2-3 business days delivery GUARANTEED ✈ - MATERIAL: 925 sterling silver - WEIGHT: 8g - SURFACE FINISH: light mat (regular, like at the pictures), deep mat (irregular, shiny), polished (mirror-like) - FREE PERSONALIZATION: choose any letters ========================================================== All items are hallmarked & come in a cufflinks box ========================================================== Things You'll find inside a jewelry box: - Your individual design of sterling silver cufflinks - Small wipes to clean and refresh the matte and polished surface of your engraved cufflinks - Real passion of item crafted by hand :) ========================================================== Contact us if you would like to discuss a bespoke design! ========================================================== All orders are shipped with ✈ UPS EXPRESS ✈ 2-3 business days delivery GUARANTEED!